Rajasthan’s attractions aren’t limited to majestic forts, historic havelis and sand dunes. Its cuisine also deserves a place in the pantheon (and as a visitor, you’re in luck: note that locals believe that serving food to guests is an honour). 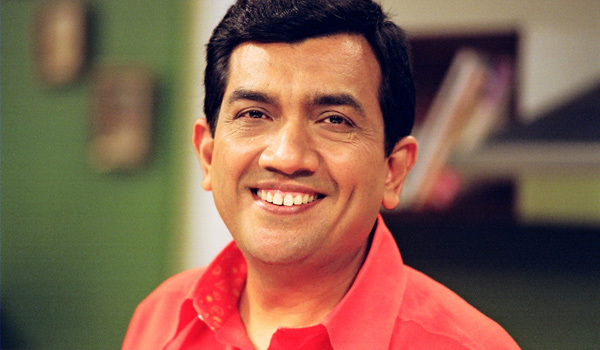 To dig in, we turned to Chef Sanjeev Kapoor, the host of Khaana Khazana, a TV cookery show that has been running for two decades. A great proponent of Rajasthani cuisine, he’s celebrated its diverse dishes across his 170-odd books, as well as on his food channel. According to him, the philosophy behind Rajasthani food, which has long held royal associations, can be summarised in a single world: ‘Padharo.’ “It means ‘welcome’ to a land famous for its chivalry, etiquette and hospitality where the guest is supreme and even enemies were treated with grace on its soil,” he says. 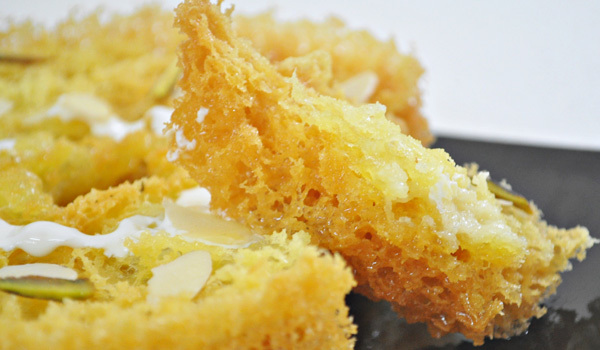 Historically, royal Rajasthani kitchens were lively with groups of cooks called Maharaj or Purohit. Their recipes were closely guarded secrets passed down through the generations. Sadly, many of those ancient recipes have been lost, since no written records were maintained. Cooking was, above all, meant to impress regal guests, so huge amounts were spent on the best ingredients. Stories of chicken and peacocks being fed on gold, pearls and rubies abound, the chef explains. Dishes made from chicken, lamb and shikar (game meat – which can include boar, venison, peacock, quail, duck, pheasant, rabbit, even camel meat) are relished here. 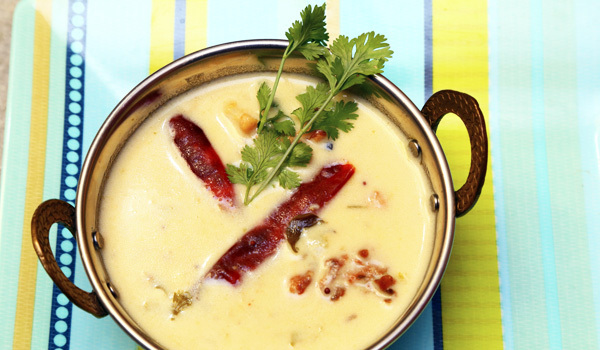 But Rajasthani cuisine isn’t just for carnivores. The state is also known for fragrant vegetarian food, while the Jains, a local religious minority, cook without onions, garlic or any ingredient growing under the soil except for ginger and groundnuts. In the most arid regions of Rajasthan, water is barely used because of its scarcity. Instead, milk, buttermilk and clarified butter appear extensively, and for that reason, Rajasthani cuisine is known for its richness. 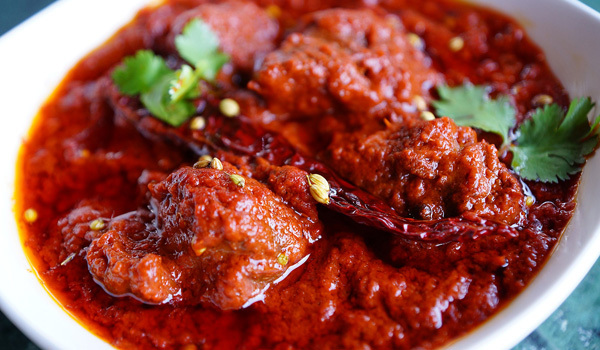 Garlic paste, ginger paste, onions, chillies and curd are lavishly used in saucy curries. And no meal is complete without myriad chutneys, which are concocted from condiments like turmeric, coriander, mint and garlic. 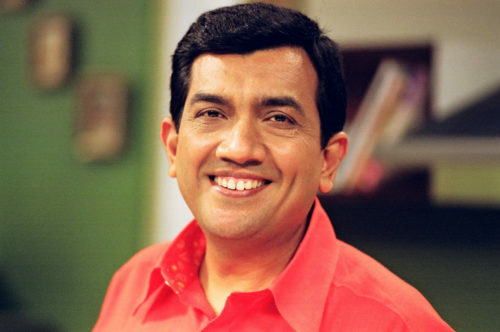 According to Chef Sanjeev Kapoor, perhaps the most surprising preparation in Rajasthan is so-called ‘Dungar cooking’, which is known for its smokiness. Towards the end of cooking time, dishes are traditionally transferred to a dish with a tight-fitting lid. A live coal in a bowl is placed in the center and ghee (clarified butter) is poured over it. The lid is tightly closed so that the smoke, trapped for 30 minutes, permeates into the food, making for a delectable local speciality. So what should a first-time visitor sample to get a true experience of the local fare? 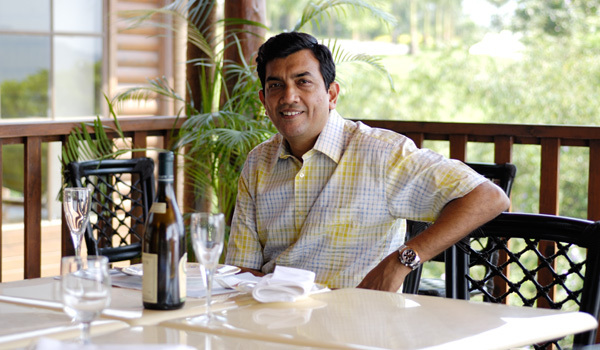 Chef Kapoor recommends classics like dal bhaati choorma (lentils served alongside grilled wheat flour dough and sweetmeats), papad ki sabzi (a tangy yoghurt curry with fried papadoms), ker sangri (desert berries and beans cooked with yoghurt and spices), pyaaz ki kachori (onion-stuffed puris) and sweets like ghevar and imarti. Also not to miss are delicious Rajasthani kebabs called sule (barbecued pieces of game meat) and the yogurt and cream based safed maas curry.